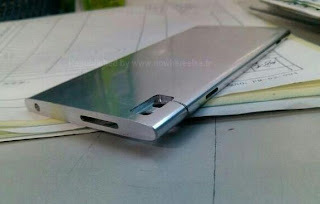 Is that beautiful chunk of metal pictured above an upcoming smartphone from Huawei which goes by the name Huawei Edge. The device is set to be a top of the range smartphone and also insanely thin. What do you think? Is this real or is this just a super good looking piece of metal? A guy by the name of Hugo Teso is a techie and a trained airline pilot, he's also a little bit of a hacker. His latest invention gives him the power to 'take full control of a plane' just fro the radio communications on the vehicles via an Android app. Obviously this is more than a little scary in case it gets into the wrong hands, but hopefully this will lead to tightened security in the future! Waterstone's founder Tim Waterstone has made a decision to create a new service which will go head to head with Amazon, but initially it will only be in the short fiction genre. The new service will be called Read Petite and you'll be charged somewhere between £5 and £12 and you can read as many books as you can manage. The titles on offer will be cherry-picked unpublished and lesser-know works from people like Stephen King, Aldous Huxley and Graham Greene. It'll be interesting to see if this catches on! Pantech are reportedly planning to launch a brand new 'bezel-less' phone in South Korea The device is meant to have a 5" 1080p screen which takes up 76% of the front of the device. To put that into perspective the Galaxy S4's screen takes up 73% of the front of the phone and that thing has everything crammed in! This one should be a looker! Asda has followed GAME's lead and has put the Sony PlayStation 4 up for pre-order. A £20 deposit is all it takes to get amongst the first people to get one of the consoles. Unfortunately Asda haven't added any more details and all we know is that the device is arriving at Christmas this year! You can put your deposit down here! If you use social networks then be careful because a recent study says that a whopping 78% of social network users reported being hostile in some fashion on the internet. A more concerning 40% of users have admitted to unsubscribing or “unfriending” someone because of arguments on the networks! Perhaps just the occasional text would be better! Samsung are working on higher capacity memory cards for phones and tablets, as well as larger SSDs for laptops with 128 Gb NAND capacity. These new flash chips are made with 10nm processes. With a bit of luck these will bring the cost of high capacity cards, embedded memory, SSDs and other things down in price. Today there is a video of LG's value pack for the Optimus G pro! Check out the video below for full details! PhoneArena have got their hands on a supposed picture of a new super thin Oppo smartphone! Check it out here! 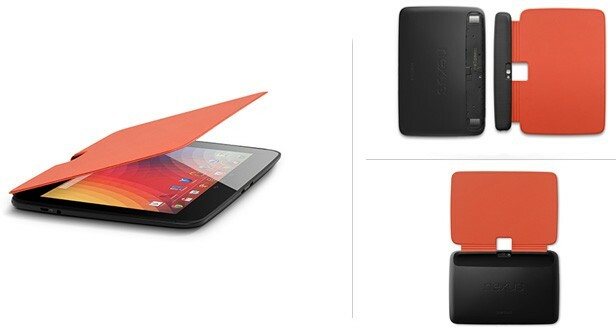 And finally, we know a fair few of you out there are rocking Nexus 10's so why not pick up your cover which is finally here! They're either $29.99 or £24.99 depending on where you're based and you can get the dark grey one here and the red one here!